As a young Air Force officer during the Cuban Missile Crisis, It was Major George Filer’s job to courier reconnaissance images of Soviet nuclear missiles in Cuba from Langley Air Force Base to the Air Force Chief of Staff in the Pentagon. Genl. Curtis LeMay, the head of the Air Force and organizer of the Strategic Air Command, relied on Filer’s delivery of those images to plan America’s attack on Cuba–an attack that would almost certainly lead to all-out nuclear war. To say that Filer, who now lives in New Jersey, was in a position of trust at a crucial moment in world history is no understatement. He also was one of only a handful of Air Force officers to ever hold Top Secret clearance. Yet even as Filer carried the spyplane photos to his bosses, he was in possession of another powerful military secret: That the previous February a giant aircraft of unknown origin had entered British air space, and while being pursued by an American military aircraft, had shot into space at more than 2,000 miles an hour. Filer hadn’t picked up this baffling and terrifying information second-hand; he had seen the craft as the navigator on the U.S. military aircraft that had pursued the mysterious ship. 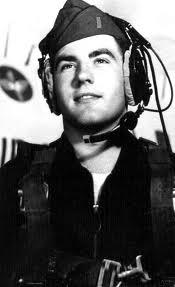 During a phone interview from his home on Saturday, May 17, Filer told me of the night–just months before the Cuban Missile Crisis–when he and fellow crewmembers on his KB-50J mid-air fueling aircraft were ordered to chase down an immense object in the air over central England. Filer said the sighting cemented his belief that “aircraft not of this civilization” routinely show up in Earth’s atmosphere. Filer and his crewmates—members of the 420th Air Refueling Squadron from Sculthorpe RAF Base–had just completed a mid-air refueling mission over the wintry North Sea when London Control, which manages air traffic in the region Filer was operating, picked up a large flying object on its radar. The control tower asked the crew in the KB-50J to intercept the object, which was in the sky over Central England, near the ancient Stonehenge monument. It may seem counter-intuitive that a large fueling aircraft would be asked to speed to the location of a suspected UFO, but the Air Force was tired of losing aircraft and pilots. “Fighter pilots often ran out of gas and our tanker was almost as fast and could fly for many hours. We were told there had been many crashes when armed fighters chased UFOs,” Filer said. Not everyone agreed why pursuit aircraft were crashing, Filer said. Some military commanders, on the other hand, thought UFOs occasionally defended themselves by downing the fighters sent to intercept them. One of those who believed Air Force planes had been shot down by UFOs was Air Force Genl. Benjamin Chidlaw, commander of the Continental Defense Command from 1951 to 1955 (he also led the development of the first jet engine and jet aircraft for the American military). London Control excitedly notified us—we were flying at 30,000 feet–that they had an unidentified object hovering between Oxford and Stonehenge at around 1,000 feet altitude. We were asked if we were willing to intercept. Our refueling mission was about over, so we quickly agreed to chase their UFO. We were given an intercept heading and started to dive toward the UFO. This was really fun and exciting compared to a standard mission! I never could recall such speed and power as our six engines were advanced to full military power as we dived on the target. At about 30 miles away from the UFO, my APS-23 Radar picked up the hovering UFO directly ahead. It was an exceptionally large radar return, reminding me of a large bridge or ship. This craft was bigger than anything I had seen in the air before. It reminded me of the radar return from the Firth of Forth Bridge in Scotland. The return was sharp and solid as compared to the fuzziness of a rain cloud. I felt this craft must be made of steel or strong metal. We were doing around 425 mph as we got to within 10 miles, when the UFO apparently realized we were intercepting it. It was a dark night; we could only see a series of dim lights directly ahead similar to a cruise ship at sea. Now only five miles separated us. Suddenly the UFO seemed to come alive, the lights brightened immensely and the UFO accelerated in a launch, similar to the Space Shuttle at night. We saw much brighter lights and fantastic acceleration as it climbed almost straight up and suddenly it was gone. It is clear they felt there was a strong radar return for the 20 to 25 minutes it had taken to reach the UFO. We had been cleared directly through various altitudes, airways and commercial traffic so they must have considered this mission very important. I can still see that huge radar return in my mind’s eye and I’ve been chasing UFOs ever since. The incident was recorded in my navigator’s log and was mentioned the next day in operations, but no intelligence debriefing was made. A few weeks later, we were invited to a “dining-in” with Prince Philip, Duke of Edinburgh, who wished to speak with the aircrews that had chased UFOs. About 10 of us sat around a table eating dessert and discussing UFOs. Prince Phillip was very personable and seemed like one of the guys. He was very interested in my intercept and the large radar return. We assume he had also been briefed by London Control because the US Air Force seemed to have no interest. We since learned that Prince Phillip and his aides have interviewed numerous aircrews who had intercepted UFOs over Britain. Shortly after the Stonehenge sighting, Filer was transferred to Langley and because he already had Top Secret clearance, he was drafted into the intelligence world as a courier for LeMay and other Air Force brass during the Cuban crisis. In the years since 1962, Filer served as an intelligence officer who was repeatedly called upon to brief generals about UFO sightings on or near American military bases. Filer has interviewed military pilots (including Iranian F4 pilots who tried to fire upon UFOs near Tehran, Iran in the 1970s. That report was later declassified and was reported as fact by newspapers around the world. In perhaps his strangest case, Filer debriefed a security commander at Fort Dix, New Jersey, who told Filer that a night security officer had shot and killed an alien being on the base airstrip. Filer interviewed several security guards who claimed to have witnessed the events the base commander described. Filer’s experience as a military investigator and intelligence officer dovetails nicely with his present role as New Jersey State director and Eastern U.S. Region director of the Mutual UFO Network. He is the chief editor of the National UFO Center, his online compilation of UFO witness reports, which includes photographs, videos, and other artifacts that readers can view to decide whether UFOs exist. Filer and his colleagues at NUFOC interview witnesses who believe they’ve seen undefined craft in the sky, in the water, and on the ground. Filer and NUFOC collect thousands of such sight reports a month, building a database of reports for scientists, UFO-ologists, and enthusiasts to chew on for years to come. If you are to ask Filer whether strange ships of unknown origin are darting about our skies, flying over our cities, or hovering above or near our military bases, the answer is yes. “I personally believe some of them have been here as long as we have,” Filer said. John Guerra is an award-winning investigative reporter living in Washington, D.C. In addition to politics and current events, he writes about the UFO phenomenon, Smithsonian expeditions to the Congo in search of brontosaurs, and other mysteries. His blog is at http://johnguerra.blogspot.com. Check out Maddie’s Gone a book written by John Guerra.